Sun is the source of energy for the whole universe. We can not imagine even a day without sun. All living beings get the energy and vitality from the Sun. Due to these qualities of Sun, it has been considered as sun God in ancient scriptures. 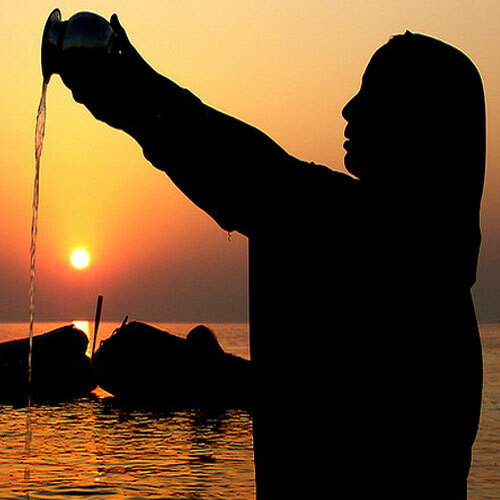 Ideal time to offer water to Sun is within one hour of Sun rise. But there is some process to worship the sun. Take a copper vessel and fill it with water. Add either sugar or honey to it.